Facebook Likes. The more you get, the better you feel. Like a modern-day computer game, with an infinite amount of lives, where the only way to kill the boss is to get 100% of your FB friends to Like your post. For business pages, experts reckon an engagement rate over 1% is good. But I’m not talking about business pages or posting to sell a product or service. No, I’m focussing on your personal account, where Likes serve just one purpose: enhancing brand “me” (which basically means getting more people to realise how sound you are). 25% is the magic number to aim for. Getting, say, 100 people out of your 400 friends to like your post. For most of us, it’ll take a life-changing announcement. Like a pregnancy, an engagement or a new job. But believe it or not, even everyday posts can strike gold. Before I show you how, you need to know who you’re talking to. There are three types of Facebook Likers: the Obsessive, the Not-even-if-you-paid-me and the Now-and-againer. Obsessives will Like 32 of the 40 photos you posted from your camping trip. They’ll give you a thumbs-up for a rant about Louis Walsh. And if you accidentally posted “ljvfnheavfalkm” from your pocket, they’d probably Like that too. The Not-even-if-you-paid-me crew are almost impossible to squeeze a Like from. They either rarely (or never) use Facebook anymore, or they lurk, watching you, judging you, but never ever engaging with you. Sneaky bastards. But the Now-and-againers are where the party is. These people Like a post around once a fortnight. They’re tough to please and only click Like when something stirs an emotion, whether it’s humour, excitement or anger. Unless you’re a deeply horrible person, one of the easiest ways to boost Likes is by being honest about what’s going on in your life. A childhood friend of mine does this to absolute perfection when she describes the daily antics of her son Alfie, and it almost always leads to number 3. Charlie Chaplin said: “A day without laughter is a day wasted”, which is something I agree with, not just on social media, but with life in general. So quit your moaning, be upbeat, and make people smile. When you get people genuinely LOLling at something you’ve seen, or with what’s going on in your life, they’ll reward you with a Like. You know how I started this sentence with “you know”? And how I’ll write things like gonna, and couldda? It makes it easier for you to imagine the real me saying the words out loud, doesn’t it? Do this on your Facebook posts and they’ll feel more personal. And more personal equals more of a connection, equals more Likes. Studies show posts with fewer words get more Likes. So whatever you’re posting about, be brief about it and don’t waffle. A bit like this point. So there you have it. 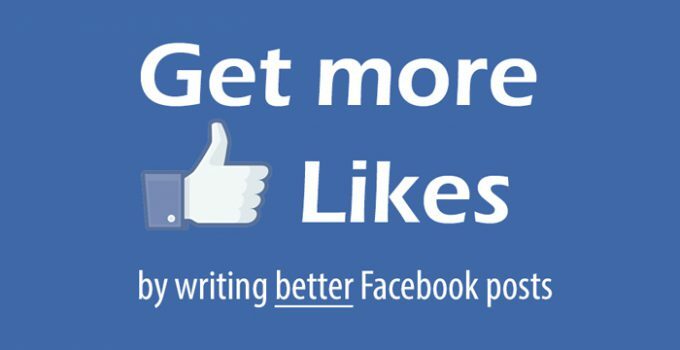 Five dead easy ways to write better Facebook posts and get more Likes. Give one or two of them a whirl and let me know how you get on. I’m @wordmancopy on Facebook. Top work Dave! 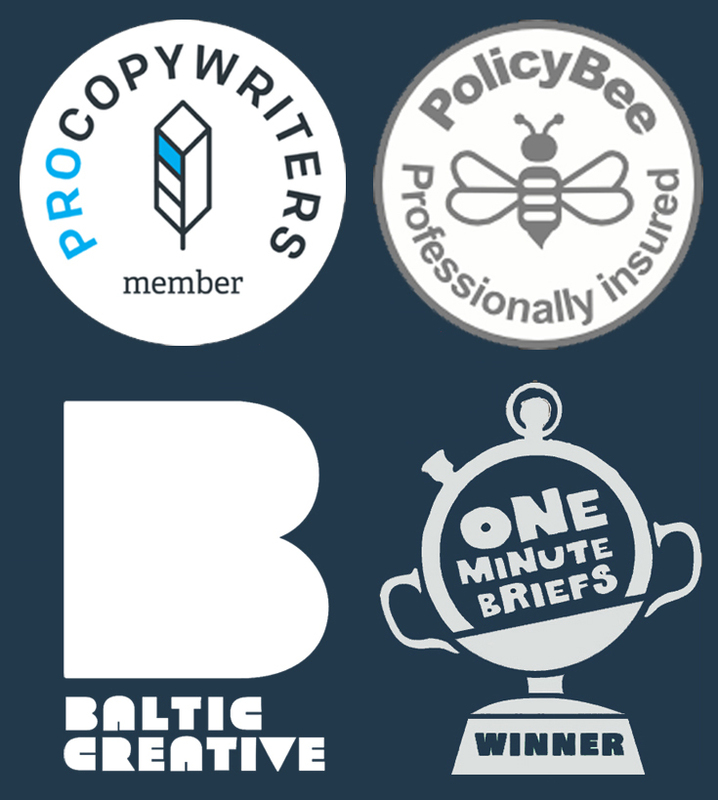 Will be printing and filing in the bumper copywriting scrapbook. Yes GDC! Nice one mate!